The tightly knit community of Italians rented most of Sutro's land, bounded by today's Portola, Kensington, Taraval and Wawona streets. Four families farmed the land for decades spanning two centuries: Arata, Bottini, DeMartini, and Lagomarsino. 38 Early each morning, they loaded their wagons with produce and made the 3-4 hour one-way trip downtown to the Colombo Market---San Francisco's produce exchange---on Davis Street. Sutro's tenant farmers were members of the Colombo Market, the "greatest vegetable market in the world." 39 Established in 1876 at Davis and Front Streets between Clark (no longer in existence) and Pacific, it thrived for nearly 100 years and launched the careers of men who built northern California's agriculture (e.g., Del Monte), wine industry (e.g., Italian Swiss Colony) and banking (A. P. Giannini lent money to Italian farmers and went on to create the Bank of America). 40 They also introduced many herbs and vegetables to California and the nation. By the turn of the 20th century, farming in San Francisco was becoming less attractive. Water for irrigation was a problem, and the newer generation preferred to work for wages and live in houses with indoor plumbing, electricity, and other modern conveniences. 43 As San Francisco's population grew, reaching 343,000 in 1900, demand for home sites grew and intensified after the 1906 earthquake and fire. 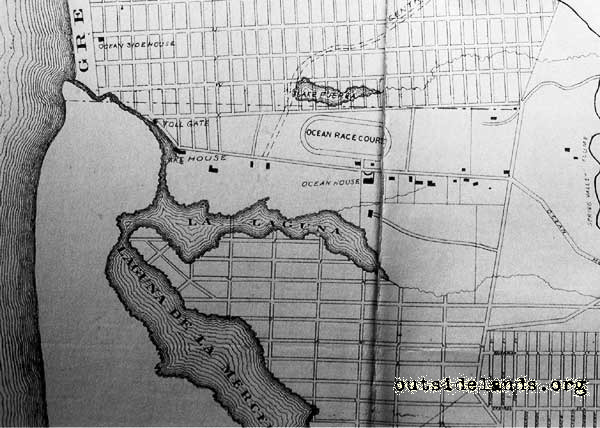 Attractions west of Twin Peaks in 1872: Oceanside House, Lake House, Ocean Racetrack, and Ocean House. Spring Valley Water Company's flume brought water from San Mateo to Laguna Honda reservoir. The unpaved road running through the Sunset district was often buried in sand. 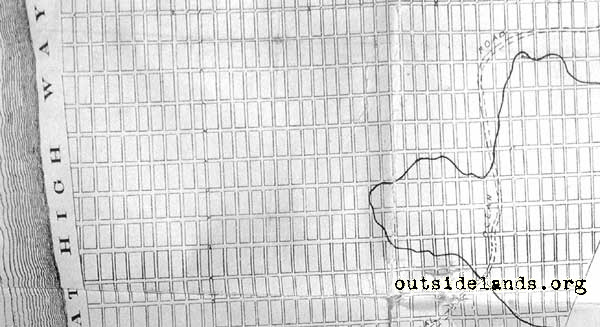 The street grids are speculative. (History Center, San Francisco Public Library). "In the latter part of 1900 we began to have difficulty collecting Mrs. Burfiend's rent. Her husband had been a tenant for many years and died on October 27, 1897 but Mrs. Burfiend continues to occupy the place. In March 1901, she was behind six months in her rent $171 at $28.50 a month. In April 1901, she claimed that all the houses on the land belonged to her. In October we were informed that she was trying to sell the house she occupied." Finally, in 1909, a major court decision allowed the sale of most of Rancho San Miguel. 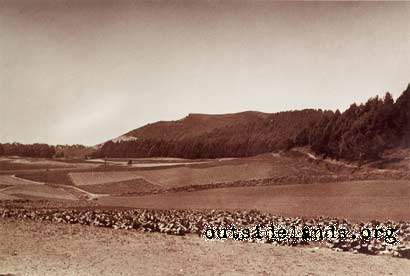 The court held that the type of trust Sutro had in mind was illegal, and although final distributions of his estate were not made until 1919, the rancho could finally be sold to developers. 34. Hutchings' California Magazine, Vol. III, June 1855, No 12, pp. 534. 35. Herman Burfiend, age 25, opened a potato ranch opposite the Alms House in 1860, and his family lived there for the next 50 years. Burfiend added a dairy in 1888 and sold milk to the Alms House. His sons George, Henry, and Dietrich worked on the farm and dairy while his daughter Annie worked as a cook at the Alms House in 1895. The Alms House furnished the dairy with water at $15 a month and, in turn, received payment in milk. Kortum ibid, pp. 25; various City Directories; Municipal Reports, 1894-1895, pg 787. Other farmers were the Jennings brothers, Patrick and Peter, who "had a place on the hill, on the Sutro property." They first appeared in City Directories in 1870 as farmers living 1/2 mile from the Alms House. Ranching must have grown too hard as they aged. 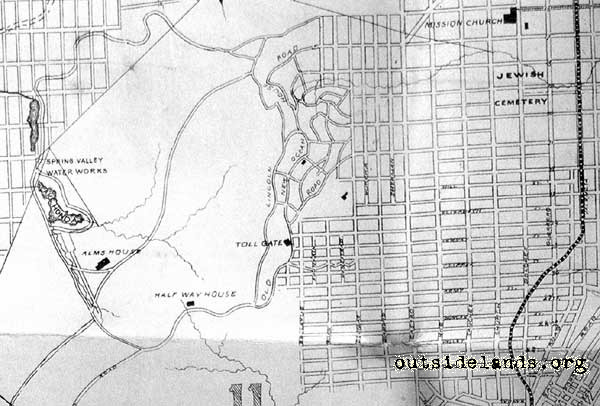 In 1892, at age 55, Peter was hired by Sutro to plant trees at $1.75/day. Kortum, ibid, pp 25. "Pay Roll of the San Miguel Ranch, Tree Planting, March 4, 1892," Sutro Library. Misc, folders. 37. Deanna Paoli Gumina, The Italians of San Francisco 1850-1930, (The Center for Migration Studies of New York, 1978) pp. 99. 38. September 23, 1898 (page 79, C-B 465 Box 42 v.1 Bancroft Library) and Baldwin, ibid. 40. Gumina, pp. 101-107. The Market moved after the 1906 earthquake and fire to Washington and Front Streets between Davis and Drumm. By the 1950s the produce market and related businesses covered 51 acres of prime real estate. It befell the same fate as the Paris marketplace, les Halles, about the same time and for the same reason, they were thought to be bottlenecks to traffic. The San Francisco Produce market was razed in early 1960s to build the Redevelopment Agency's Golden Gateway Project. A new produce exchange was built near Islais Creek in 1963. Peter Booth Wiley, National Trust Guide San Francisco, John Wiley and Sons, 2000, pp 84. 41. Kortum, ibid, pp 76. 43. The author's ancestors were members of the Colombo Market and they owned a vegetable farm in Visitation Valley from 1883-1929. The author's cousin, Ed Armanino, who was born on the ranch in 1910, related to the author in 1997 the difficulties of ranch life and how his uncles regretted returning to the ranch after serving in World War One. 44. 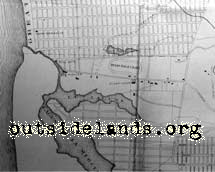 Marsha Fontes, The History of West Portal, 1978, unpublished paper, an interview with Albert Fustini, nephew of John Merlo. 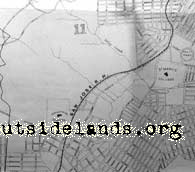 Merlo's ranch was next to a creek that cut a ravine along present day Wawona, behind the Ardenwood Christian Science into Sigmund Stern Grove and ending in Pine Lake. 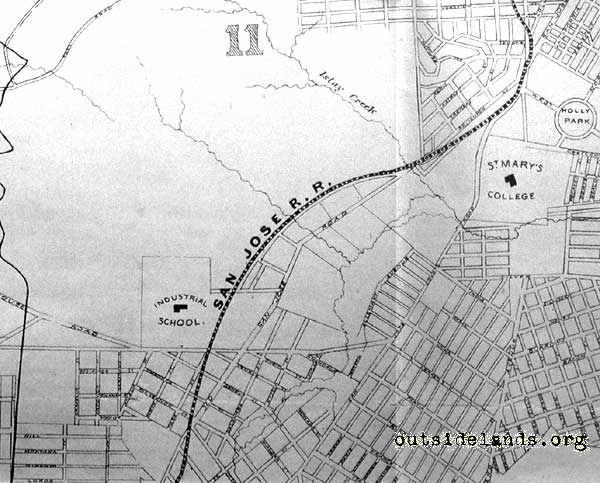 (Sanborn map 1913) This ravine was filled in with 250,000 cubic yards from excavating the Twin Peaks tunnel in 1914-1917. Sinkholes occasionally appear on Wawona according to a neighbor on the 200 block of Wawona, to the author September 2002. 45. Argonaut, March 7, 1898, pp. 2-3. 46. "In the Matter of the Estate of Adolph Sutro, Deceased" in Report of the Attorney General, undated, circa 1904, pp 10-11, in Sutro folder, History Room, San Francisco Public Library; San Francisco Call, June 25, 1909, pp 1. 47. San Francisco Call, May 6, 1898, pp. 14; July 28, 1898, pp. 12. 48. "Executrix of Will of Sutro and Report of Management of Estate", Feb 1, 1900 to Feb 10, 1904, pp 55, Bancroft Library, G-B Box 42, v.3.